The Super Bowl. The Big Game. The Ultimate Matchup. Whatever you call it, the competition (and for many, the commercials) football fans look forward to every year is fast approaching. Are you ready for some football? Super Bowl Sunday is a big deal, with some people treating it as an unofficial national holiday. Other than Thanksgiving, this is the single biggest day of food consumption in the U.S. annually, and is always one of the biggest yearly sports events, with over 114 million people in America expected to tune in to Super Bowl LI. Friends, family, neighbors, coworkers, and people of all ages gather together to eat, watch their team play, and check out the new commercials. Super Bowl commercials have become an institution, with big companies shelling out big bucks to showcase their products to one of the biggest viewing crowds. Many memorable commercials have made their debut on Super Bowl Sunday, among them the ads introducing the Macintosh computer in 1984, the Budweiser frogs in 1995, and the Old Spice guy in 2010. The halftime show is one of the biggest draws, besides the commercials, for those non-football fans who will be watching the Super Bowl. 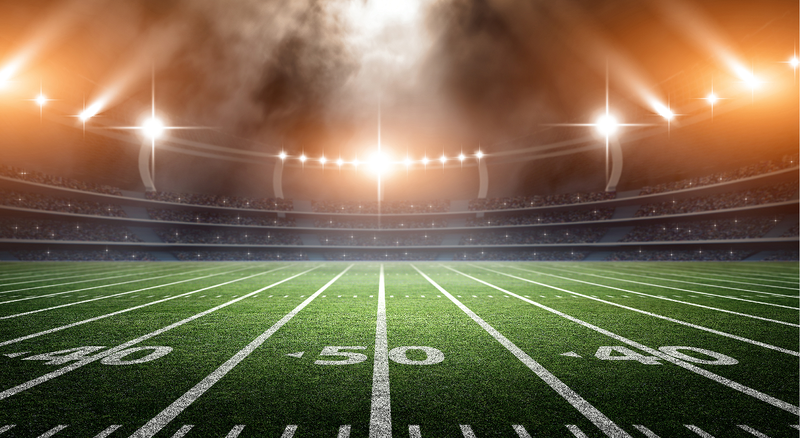 Throughout the history of the big game, famous celebrities and groups have taken to the stage during halftime to entertain the crowd – sometimes in unexpected ways (who could forget Janet Jackson’s infamous “wardrobe malfunction” in 2004?). In 2006, Prince performed his classic “Purple Rain” amid a torrential downpour, with purple spotlights turning the actual raindrops purple. It could not have been scripted better. Whether you plan to watch Super Bowl LI for the game play, the commercials, or the halftime show, you’ll need sustenance. Here are some tried and true game day recipes that will give you the strength you’ll need to make it through the day. Slice eggs in half lengthwise and remove yolks; set whites aside. Stir in mayonnaise, sugar, vinegar, mustard, salt, onion, and celery; mix well. Stuff or pipe egg yolk mixture into egg whites. Sprinkle with paprika. Refrigerate until serving. Place ground beef onto a work surface; divide into 8 equal-size pieces using a knife or pastry cutter. Line 8 muffin cups with paper liners. Sprinkle bottoms of paper liners with salt and black pepper. Form each piece of burger into a rough ball and place into a muffin cup. Season tops with salt and pepper. Place a second paper liner on top of each piece of meat and gently press it down to shape the mini burger into a round, flat shape. Pull off the paper tops and remove burgers from the muffin cups; remove bottom paper liners from burgers. Heat a large nonstick skillet over medium-high heat. Cook burgers in the hot skillet until they have a browned crust and are slightly pink in the middle, about 3 minutes per side. Flip burgers and cook 3 minutes on other side. Remove burgers to a plate to rest for 2 minutes. Mix mayonnaise, ketchup, mustard, and pickle relish in a bowl; spoon a dollop onto each bun. Place burgers onto buns, season with more black pepper, and top with a tomato slice. Close buns and serve. This is a recipe you can prep and cook the night before and reheat the next day, saving some time on game day. Pour in the chili beans, spicy chili beans, diced tomatoes, and tomato paste. Add the onion, celery, green and red bell peppers, chile peppers, bacon bits, bouillon, and beer. Season with chili powder, Worcestershire sauce, garlic, oregano, cumin, hot pepper sauce, basil, salt, pepper, cayenne, paprika, and sugar. Stir to blend, then cover and simmer over low heat for at least 2 hours, stirring occasionally. After 2 hours, taste, and adjust salt, pepper, and chili powder if necessary. The longer the chili simmers, the better it will taste. Remove from heat and serve, or refrigerate, and serve the next day. To serve, ladle into bowls, and top with corn chips and shredded Cheddar cheese.